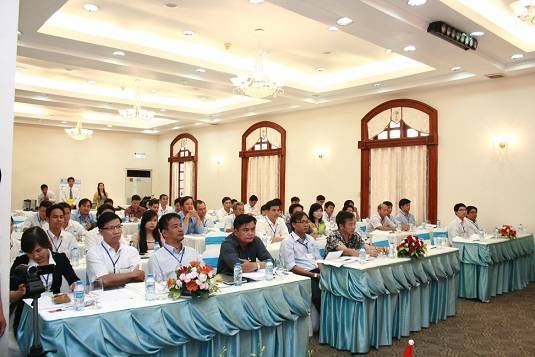 GlobeCore Has Held a Conference for the Representatives of the Power Industry of Vietnam - ! Equipment for Transformer Oil Reclamation. GlobeCore. 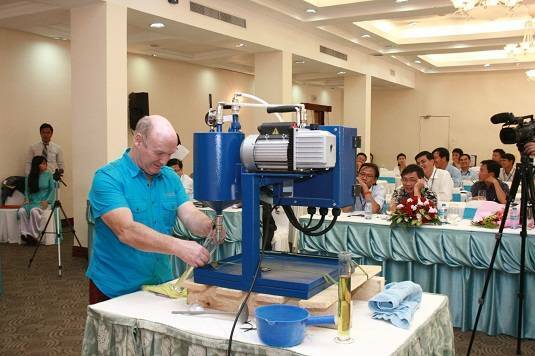 In December 2014, the representatives of GlobeCore visited Ho Chi Minh (Vietnam). The aim of the visit was to hold a conference, dedicated to the solution of the problems of the power industry. The conference was held at a high level. There were several reports, delivered to those present that were followed by a lively discussion. 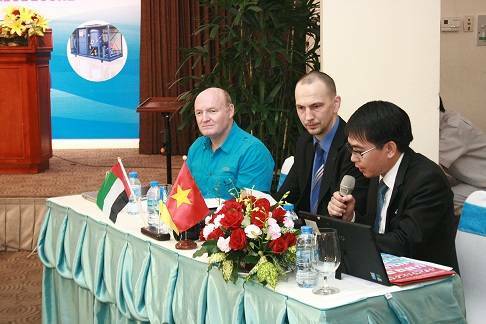 GlobeCore prepared a presentation on waste oil purification and regeneration. Additionally, the operation of the laboratory unit for waste oil regeneration was demonstrated directly in the conference hall. The comparison of oil samples before and after the regeneration proved the high-quality of GlobeCore equipment. This conference has resulted in the signature of two letters of intent with the representatives of Vietnam.